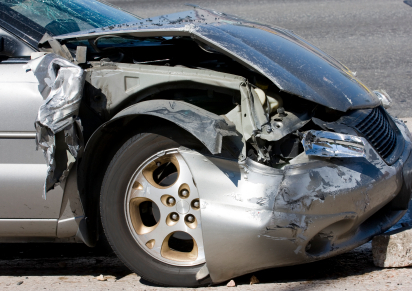 The vast majority of personal injury cases handled by this firm are a result of automobile accidents. As a result, we have become experts at dealing with medical providers and insurance companies while obtaining the highest injury recovery awards possible for our clients. Massachusetts is a 'no fault' accident state which means your medical bills will be paid (Max. $8,000) regardless of who is at fault. However, the real key to personal injury awards are money damages involving pain and suffering. This is primarily determined by the extent of physical and emotional injury as well as the negligence of the at-fault driver. Medical Bills: The first $2,000.00 in medical bills is paid by the Personal Injury Protection (PIP) insurance carrier of the car you were in or hit by if you were a pedestrian or a bicyclist. If you have private health care insurance, Massachusetts Law requires that medical bills in excess of $2,000.00 be submitted through your provider for payment. If you do not have private health care insurance, or if your health care insurance company refuses to pay your medical bills, you may be entitled to up to $8,000.00 in PIP medical coverage. Bodily Injuries and Wrongful Death: In Massachusetts, you need over $2,000 in medical bills to be entitled to compensation for injuries, including scarring, pain and suffering, permanent or partial disability, and loss of ability to enjoy life. 1. Gather names and addresses of witnesses. 2. Call the police and make sure they are aware of any traffic violations that may have been committed. 3. Notify your insurance company of the accident. At the Law Offices of Michael R. St. Louis, we are fully prepared to handle your personal injury case. As a leading Boston personal injury law firm, we can provide you with the direction and legal counsel you need to win your case. Call our Law Offices today for your free consultation at 781-816-3950 or contact us online.